Charly Caruso is backstage with RAW Women’s Champion Bayley. She admits she’s nervous and says Charlotte does have the advantage going into their match tonight. She also believes Charlotte will bring Dana Brooke to ringside. Bayley says as usual the odds are stacked against her but she’s up for the challenge. Bayley says if Charlotte is as good as she says she is, she will leave Dana in the locker room so they can find out who the better woman is. Nia Jax appears. She says Bayley has so much to worry about tonight. 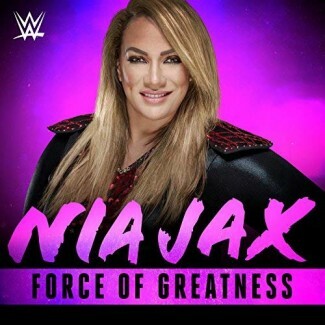 Nia just wants to let Bayley know that she’s going to rip her friend to shreds tonight. If Charlotte somehow doesn’t take the title from Bayley tonight, she will. Nia walks off. We go to the ring and out comes Nia Jax followed by Sasha Banks next. The bell rings and they immediately go at it. 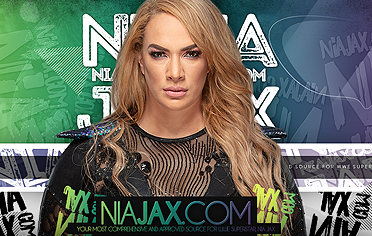 Nia takes control early on and dominates. Sasha makes a comeback but Nia drops her and taunts her before covering for a 2 count. 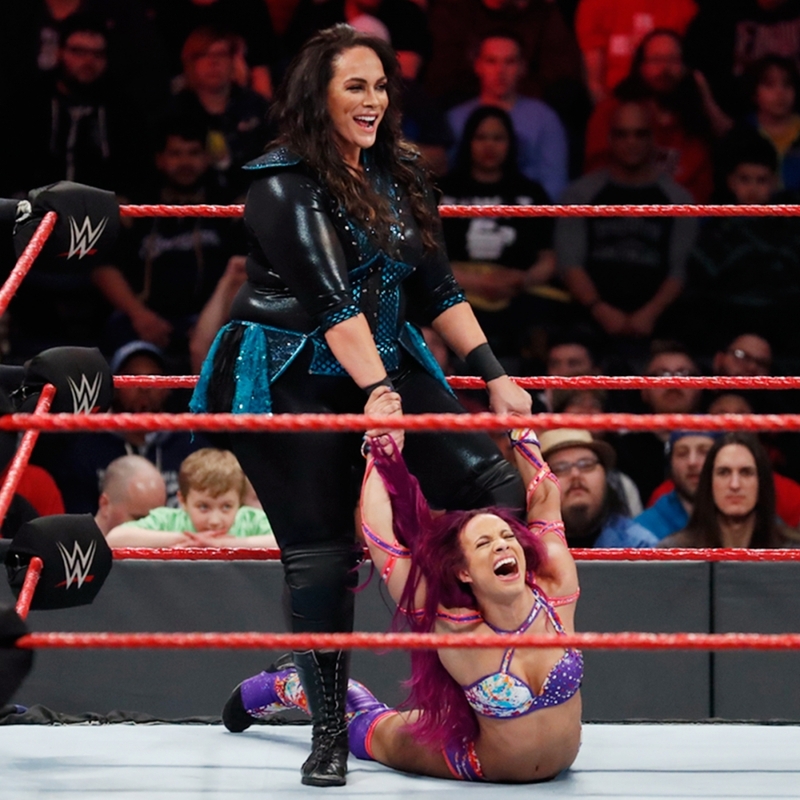 Nia keeps control and launches Sasha across the ring. Nia with more offense and another pin attempt. Nia talks down to Sasha before sending Sasha into the corner. Sasha blocks Nia but gets her face smashed into the turnbuckle. Nia with a Torture Rack. Nia does squats with Sasha on her shoulders and keeps the hold locked. Sasha turns the hold into a guillotine but Nia counters. Sasha goes for the guillotine again but Nia overpowers her. Sasha ends up on Nia’s back with a sleeper hold applied. Nia slams her to the mat. Nia runs into a strike. Sasha with a knee and kicks. Sasha keeps control and drops Nia with a DDT into the Banks Statement. Nia powers up but Sasha fights off her shoulders. Sasha charges but Nia floors her. Nia drops the big leg drop to Sasha’s back. Nia talks down and tosses Sasha by her hair. Nia scoops Sasha onto her shoulders but Sasha slides out and rolls her up with a bridge for the win. After the match, Sasha rolls to the floor as Nia is left looking shocked. They stare at each other as we go to replays. We come back to Sasha playing to the crowd while an angry Nia looks on.